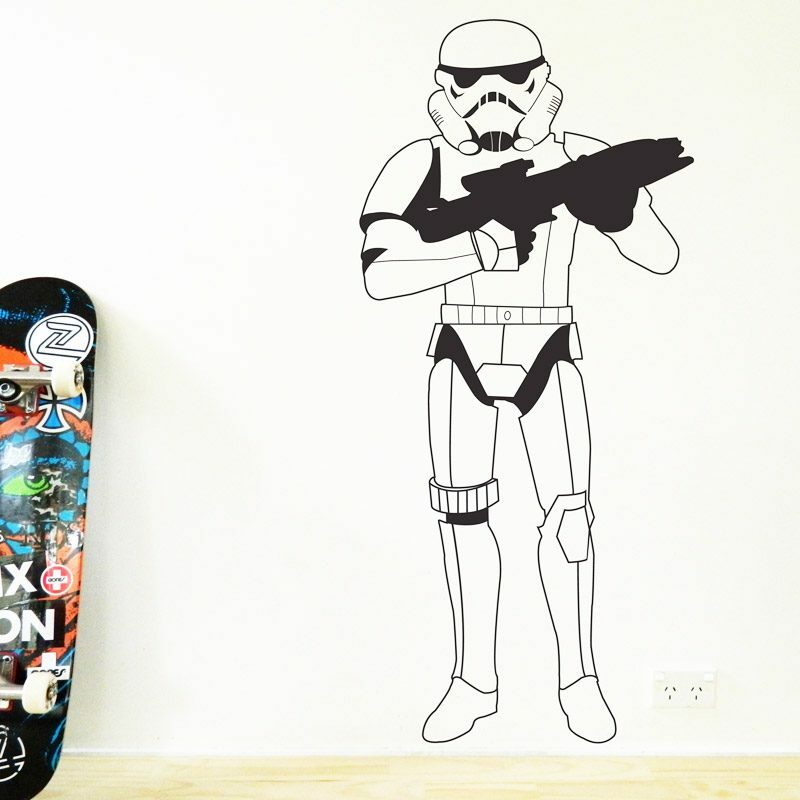 Stormtrooper wall sticker. 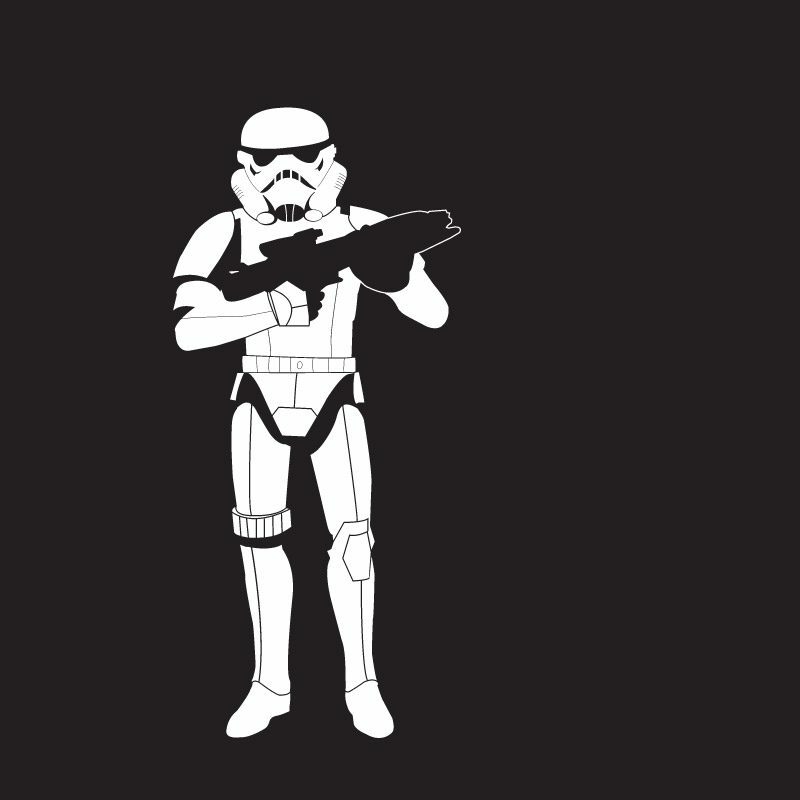 Great for Star Wars Fans! 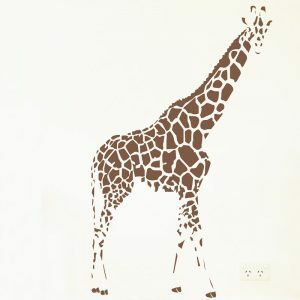 Small measures 27cm H x 13cm W. Medium measures 58cm H x 26cm W. Large measures 120cm H x 55cm W.